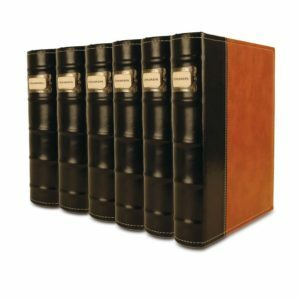 Take a look at the classiest yet affordable DVD storage binder. We had oodles of DVD plastic cases all over (even stacked two deep) and still didn’t have enough room. It was getting out of hand! We were either going to stop getting DVDs or figure somewhere to store all of our discs. Then, we found the Bellagio-Italia CD / DVD Storage Albums and found that we could take care of our DVD mess. 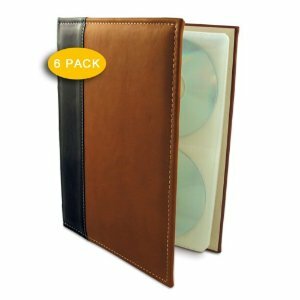 These storage albums have helped take care of our mess of too many DVD cases. 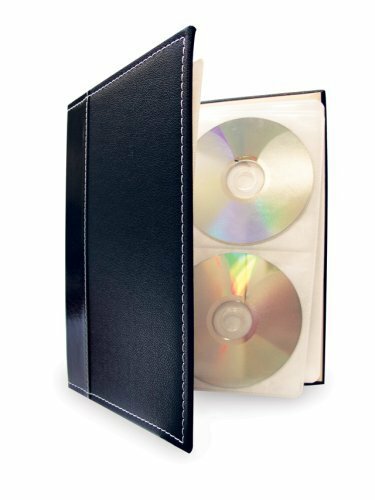 The DVD binders are just the right size can hold 48 discs at a time. At last count, we have 10 of them, and are needing more because I’d like to store more home movie DVDs in them too. Our shelves look soooooooo much better having swapped out all of our DVD cases and placing the DVDs into the album. We’ve organized the storage albums by genre: kids movies, adventure movies, etc. The storage albums we have are the Black Pebble and the Brown. There’s a burgundy as well, but the Black and the Brown are the favorites at our house. I’ll link to where you can get them below. Cleans up shelf space – Think of how much space 48 DVD plastic cases would take up! The album is “3-ring” and holds 48 discs. 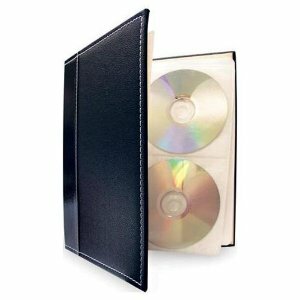 Extra pages can be ordered if you want to store more discs in a single album. There’s a little bracket on the spine that lets you write what the case holds. We’ve categorized our DVD albums into Kid Movies, Animated Movies, Adventure Movies, etc. You can customize what it says to identify a certain genre or group of movies. The albums help protect the DVDs even better than the DVD cases (in our case) because our DVD cases tended to get tossed on the floor and stepped on by the kids. The storage albums are sturdy, and stand up just fine on their own. The album storage pages have a little lip that you can pull over the DVD’s to keep them securely in place. To keep the DVD’s from falling out if the album gets turned upside down. Guess who has accidentally turned one upside down…you guessed it…me, and I didn’t have the little lip from the covers pulled over the DVDs. Not all the DVDs fell out, but it wasn’t fun. So be sure to have the lips pulled over the discs. The price varies for the albums, but I wouldn’t pay anymore than $20 per individual album. We’ve seen frequent sales, so check on the price. If it’s below $20, you’re good to go. If you want to save more money, you can buy them in 6 pack. Why the Six Pack (and we’re not talking drinks or abs)? 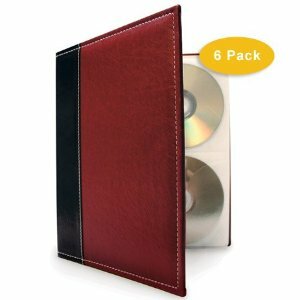 I’d recommend getting the pack of six of albums to start off with because most people (like us) have enough DVDs in different categories to merit a separate storage area for each. Having lots of these albums makes it easier to pull out the kids binder and go through the movies in the case when they want to watch something rather than sort through all the mess of having everything jumbled together. You’ll also save by ordering in bulk rather than one by one. We love our black albums and the brown albums. Having a bunch of each color helps us easily distinguish the different categories of DVD’s we have. We’ve separated out the black DVD binders for kids, Disney, and Christmas DVDs. The Brown binders we’ve categorized our DVD’s by Adventure, etc. 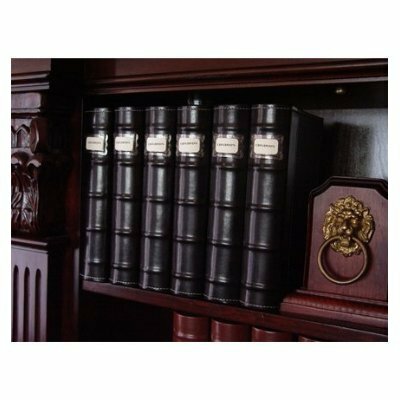 We’ve enjoyed our collection of the storage albums, and they’ve held up great year after year of good use. We still love how classy they look, and you will too. Below are the links to where you can find the albums on Amazon. Click the pictures or titles below to view the product reviews on Amazon for each pack of 6 albums.